Much to the surprise of any seasoned clinical hypnotherapist who has consistently tried and failed to help clients with tinnitus, there is a model of hypnosis that can play a role in eradicating tinnitus. When the New Hypnotherapy Handbook model of hypnosis doesn’t eliminate tinnitus it normally reduces the volume and the stress and negative emotions surrounding tinnitus. One recent study showed that 73% of individuals taking part in a study on the efficacy of hypnosis in tinnitus reduction, succeeded in doing just that. Unfortunately the model of therapy taught in most certification courses is not effective in helping those who suffer with tinnitus. With the right tools however, good to excellent results in tinnitus reduction can be achieved. Why don’t more in the public pursue such a successful therapy? It would seem that there is a perception of hypnosis that is negative in the minds of many. Why this is, can generally be attributed to the media’s portrayal of hypnotist’s in general. People seem to relate hypnosis to the surrender of will to another person…that is until they actually participate in hypnotherapy or say, learn self hypnosis and discover it is very different indeed. It’s really nothing of the kind. Hypnosis is an old word that once meant sleep, another misnomer. When a person is in a “state” of hypnosis they are actually in the exact opposite state of sleep! For results to be attained, the individual must be in a state of heightened awareness, focused concentration and attention. As more practitioners learn the specific skills to help those who suffer from tinnitus, more people will share their results. There is work to be done. It has been shown in countless studies that people who suffer from tinnitus tend to have more “somatics” than the population as a whole. People who suffer from tinnitus largely either suffered from depression or stress related anxiety before the onset of the noise. This fact, in part, explains the efficacy of hypnosis in the relief of tinnitus. For many decades it has been known that hypnosis reduces stress, anxiety and phobias. Now we are learning that hypnotherapy is effective in the treatment of depression, and, now tinnitus. When a person experiences tinnitus or any illness, there are emotional clusters of feelings attached to the illness within the neurology of the brain. In psychology, these are known as “state dependent memories.” The memories are so powerful because of the emotional attachment to them. With tinnitus, the emotions can run the gamut from anger to anxiety and distress to depression. The hypnotherapists job is two-fold. The therapist must desensitize or defuse the emotional intensity from the associations so that the person has a better opportunity for improvement. Once the emotional clusters have been removed, the therapist will help the client’s unconscious mind focus on other stimuli than the noise. Combining CBT with diffusion can make for a valuable approach. Unfortunately most hypnotherapists weren’t trained to do either of these crucial elements of tinnitus reduction. The work is meticulous in nature requiring numerous sessions of therapy. Over the years I’ve seen as many as 200 sessions necessary or as few as two. Tinnitus reduction is sometimes one of the most complex processes in human experience. The few hypnotherapists with a broad range of experience with tinnitus sufferers will recommend the use of an iPhone or CD’s we’ve developed with unique hypnotic interventions. These CD’s will allow the individual to use self hypnosis on a daily basis at no additional cost per session. It’s important to note that hypnosis is 100% safe for the client with one caveat. It is extremely critical that an individual NOT use hypnosis until the pathology has been determined by a medical doctor. It would be foolish to silence the noise of tinnitus that is caused by a tumor. What can we expect in a session? There are two kinds of sessions you can benefit from with a tinnitus expert. Each therapist has a slightly different style. However there is a hypnotherapeutic model that has been shown to be most effective in reducing tinnitus volume and other related somatics. In regression therapy (similar in some respects to non-Freudian Ego State Therapy) the client is triggered to the time before the onset of the tinnitus to discover the trigger of the noise if it is unknown. Approximately half of all individuals do not know how their tinnitus onset. This will come out in therapy in most cases. Generally speaking, from this point the therapist can help the client in a couple of ways. There are similarities between “regression” and the desensitization (CARPETS) model. One of the key problems the therapist faces in therapy is a clients unyielding search for a cause or a “why” to the tinnitus. That is resolved here and this allows the client to focus attention on external stimulus going forward. The therapist may have the client simply re-experience onset over and over until the emotional impact becomes boring or even amusing to the client. The desensitization has been shown to work for most. The other traditional methodology is to bring the onset to the client’s conscious awareness so the client can make a cognitive decision about how he should feel about tinnitus. Often the tinnitus or the emotional connection will begin to reduce at this point. “Sub-Routine Therapy is another skill set of a seasoned hypnotherapist. Sub-Routine Therapy can be used effectively for tinnitus reduction. Generally speaking hypnotist’s work under the assumption that the nonconscious mind always does what it “thinks” is best for the survival of the individual. There are parts of the nonconscious that regulate heart beat, breathing, and blood flow among all the other neurological functions of the body. All of these can be altered in hypnosis by working with the nonconscious. In Sub-Routine Therapy, we discover what “part” or element of the brain and/or mind is “maintaining” the noise of tinnitus and we negotiate with that part to tell us why the noise is being maintained. Quite often it comes up in therapy that the noise is a signal or a PERCEIVED metaphor of a signal to the conscious mind. Often it is a message to begin to listen to the self or others or to make a major life change, often work related. Frequently, when the part is satisfied that the message can get “through” without the noise, the part happily gives up it’s “job” and rests. Sub Routine Therapy can be miraculous in nature. This author has personally participated in remarkable sessions using this therapy. It should be noted that quite often there is no mysterious “part” holding the tinnitus in place. Tinnitus, unlike so many things has a multitude of causes and a multitude of reinforcers holding sometimes multiple noises in place. Of all the approaches, suggestive hypnotherapy has proven to be the least effective. An excellent therapist will incorporate all three of these general therapies in addition to teaching the client self-hypnosis (see below) for the purpose of distracting the mind from the tinnitus. Self hypnosis can sometimes be used to relax and experience calmer states of mind without the need of seeing the therapist. It often depends how loud the volume is. Sometimes a program such as the one I created and is shown below is best used here. It will frequently be necessary and desirable for a follow up session with a hypnotherapist several months after the original client work has been accomplished. A hypnotherapist will sometimes charge less for a follow up session and will work with the client to make sure the work previously done is indeed working. Hypnosis is not a cure for tinnitus. Hypnosis is an extremely affordable and very helpful therapy for reducing or eliminating the noise and/or the emotional impact of tinnitus. Depending on the cause of the tinnitus and the psychological status of the individual, hypnosis will generally surprise the client with it’s seemingly amazing results. WHO SHOULD OWN THIS PROGRAM? 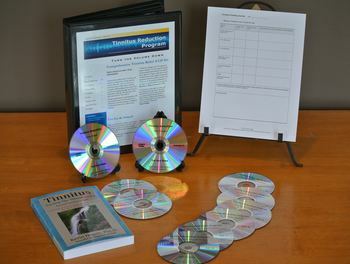 Tinnitus Reduction CD/DVD Program with Dr. Kevin Hogan’s book, Tinnitus: Turning Down the Volume contains the methods and tools CD’s specifically designed by Dr. Hogan which assisted him in the elimination of his tinnitus. Anyone with tinnitus who would like to reduce the volume of their tinnitus through the use of six self-hypnosis CDs, along with two DVD’s that give you other strategies to begin your path to quieter days. The Tinnitus Reduction Program has helped thousands of individuals reduce the distress associated with tinnitus. In most cases, when individuals utilize the Tinnitus Reduction Program as part of a multi-modality approach to tinnitus reduction, they experience long-term improvement. I had meant to write before as I have had your program from July now. They have been wonderful and saved my sanity. My tinnitus is greatly reduced and my Meniere’s under control. I return to your CDs as I find them excellent and I use them every night to go to sleep with. Thank you. Your CD/DVD program includes a couple of hours of up to date information about how to reduce the volume and distress of your tinnitus. This portion of the program is updated regularly. 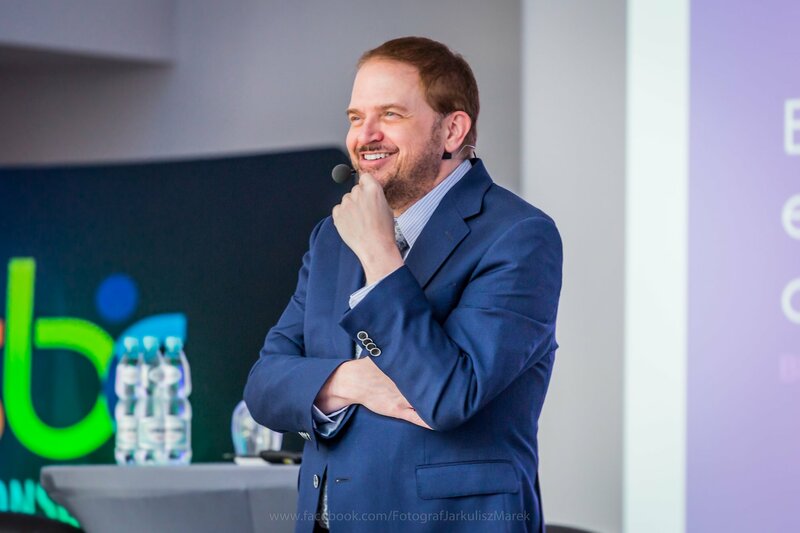 In addition to what is working in the area of medicine, tinnitus retraining therapy, and other modalities, you will receive self-hypnosis CD's specifically designed by Kevin Hogan which assisted him in the elimination of his tinnitus. The first two DVD's in the program include the most up to date information about tinnitus relief you can get. Now, you can utilize the same program as part of a multi-modal effort in reducing your tinnitus volume. Kevin Hogan is a psychotherapist specializing in hypnosis, who didn't stop with just one possible way to experience silence. A multi-modal approach is the only way to assure your success in reducing your tinnitus volume and the intense emotional distress that comes from the tinnitus. If you are sick of hearing that "nothing can be done" and "you'll have to learn to live with it," this is the starting point. The program includes the newly revised edition of, Tinnitus: Turning the Volume Down which includes the latest developments in reducing tinnitus and hundreds of citations for further research. 100% Lifetime Money Back Guarantee. After you have used this program and the information in it, for six months, you will have a record of specifically how much quieter you are then than now. If you don't think this program lived up to it's billing, return it for a full refund. And, If a CD or DVD EVER skips or breaks, we will replace it FREE! Dear Mr. Hogan, Thank you for your incredibly informative website. I stumbled upon it at a moment of absolute desperation and the information I found there may well have saved my life. I developed horrible, life-altering tinnitus after having a patulous eustachian tube. I went to the top ear doctor in Los Angeles and he prescribed a number of things – among them, the antidepressant amitriptyline. Shortly after I started the amitriptyline my tinnitus got worse. I panicked. I did a combination google search of anti-depressant drugs and tinnitus and found your page. Among your FAQ’s was a discussion where you mentioned anti-depressants could temporarily make the tinnitus work but it meant the drugs were helping and to not quit. Your information was my sole deciding factor to continue the medicine and about three weeks later, the tinnitus stopped. I was probably just another page view so I wanted to make sure you know how many people you are helping. Thank you for giving me hope in a hopeless situation and much-needed encouragement when I was on the verge of quitting.